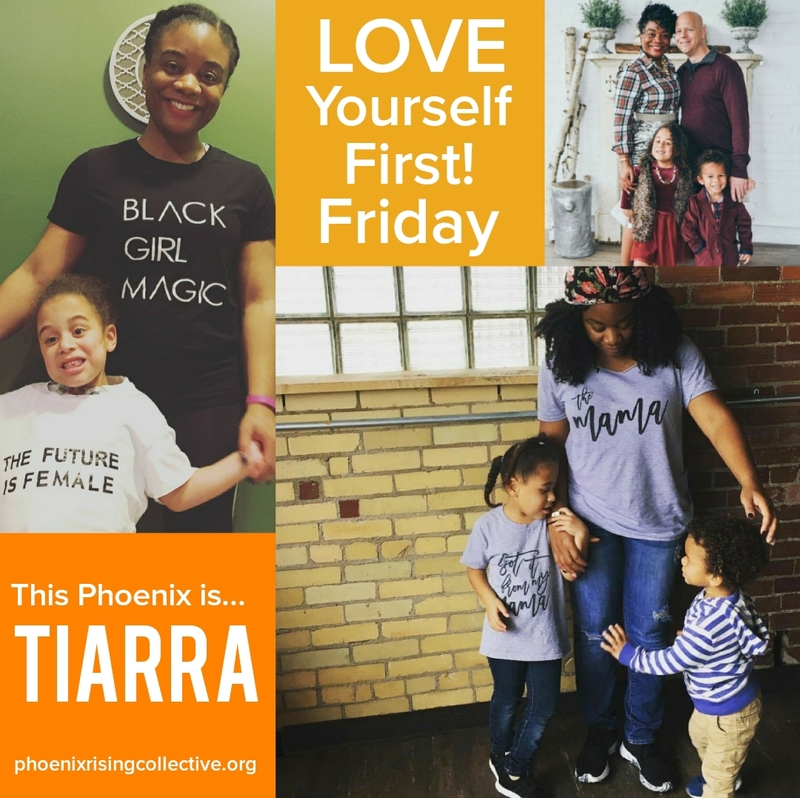 It’s Love Yourself First! Friday. This Phoenix is Ebony. Ebony values self-love and care because it helps her to be present for her two little boys. “When I look at my children I want to be better, and I want to be a role model for them,” she says, so Ebony makes a much needed self-investment in an effort to give them what they deserve. For example, every week she dedicates a few hours to working out at the gym, using this time to also pray, clear her mind, and release stress, “as there is very little quiet time in my life between work, my three-year old, and my six-month old,” she expresses. Embracing her workout hours as time to rejuvenate and refresh not only keeps her healthy, but balanced and centered during the week. This beautiful Phoenix also carves out a moment every morning to read a daily affirmation. It’s as simple as a phone app download, and (voila!) she gets the day started in a positive direction. 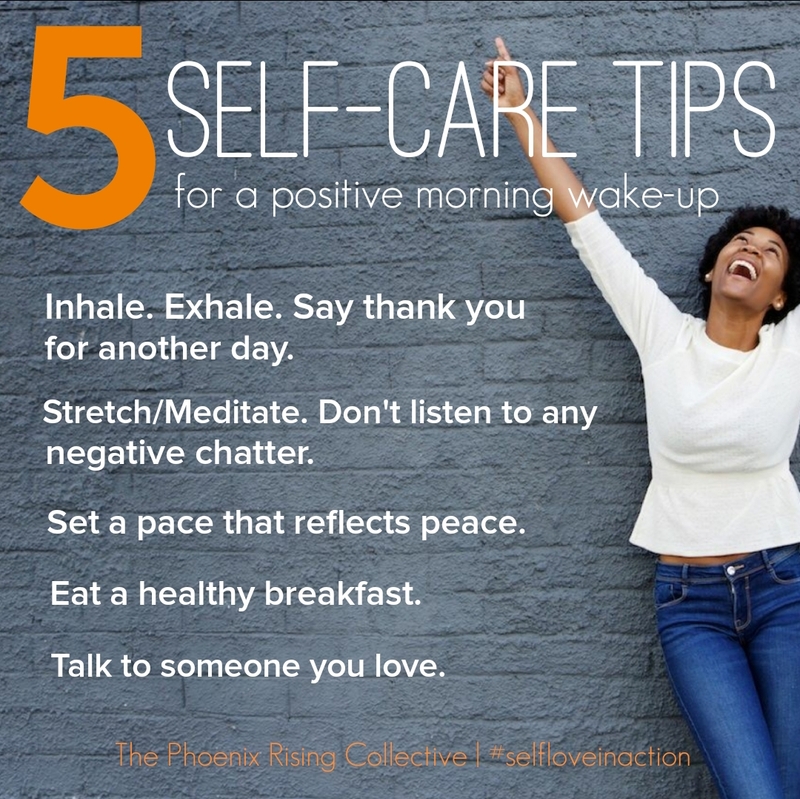 As a loving reminder, she makes sure to re-read the affirmation throughout the day, as being a very dedicated social worker can often be stressful. The words of encouragement are the positive push she needs to move forward with an optimistic spirit. 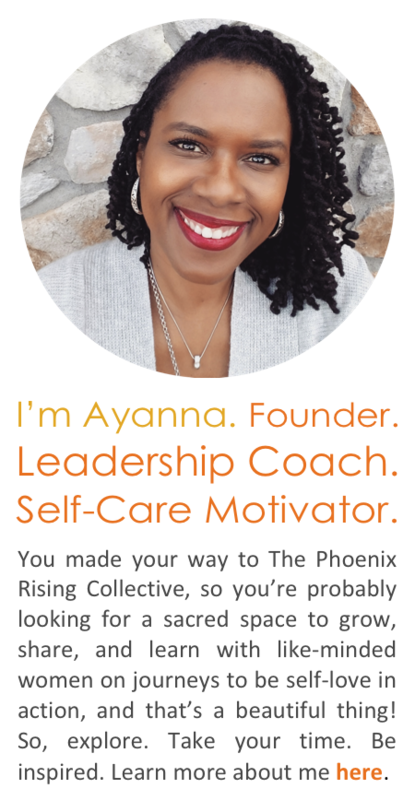 Ebony is most certainly a Phoenix rising – taking care of her mind, body, and spirit, practicing daily affirmations, committing herself to helping others, and showering her children with love. If that’s not enough, she’s investing in her career by starting graduate school this fall. Now, that’s the way to live a purpose-filled, self-loving life!